Changing his earlier statement to the police, 37-year-old Wesley, the adoptive father of Sherin Mathews, who was re-arrested by the US police on Monday, admitted to removing her body from home. 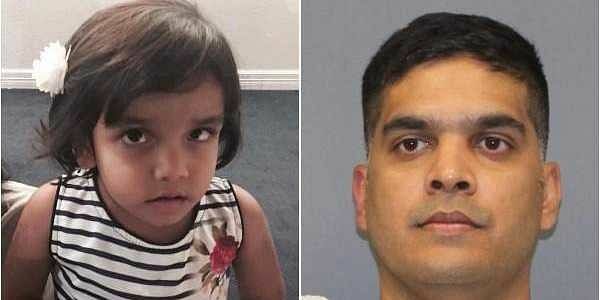 The body of a young child found Sunday in a culvert in Richardson on October 23 has been identified as that of missing three-year-old Sherin Mathews, police confirmed Tuesday. Richardson police said the Dallas medical examiner's office used dental records to confirm the identity of the body that was found Sunday. Her cause of death has not been determined yet. 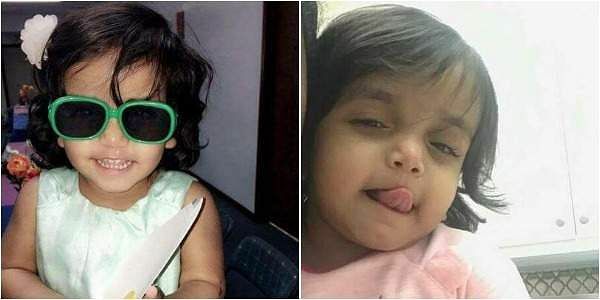 In another twist to the case, 37-year-old Wesley Mathews, the adoptive father of Sherin Mathews who was re-arrested by the US police on Monday, admitted to removing the child's body from their home. Changing his earlier statement to the Richardson police, Wesley said on Tuesday that the child had in fact choked on her milk and he "believed she had died". According to an arrest affidavit, a copy of which Richardson Poice has shared on social media, Wesley said that he had been trying to get Sherin to drink her milk in the garage. "Wesley said that she wouldn't listen to him. Eventually, the 3-year-old girl began to drink the milk. Wesley Mathews then physically assisted the 3-year-old in drinking the milk. The 3-year-old began to choke. She was coughing and her breathing slowed. Eventually, Wesley Mathews no longer felt a pulse on the child and believed she had died. Wesley Mathews then admitted to removing the body from the home," says the affidavit. After he made the new confession, he was re-arrested and charged with first-degree felony injury to a child. US media agencies report that he could be charged with murder if further investigations prove foul play. Sherin Mathews was adopted by Wesley and Sini, a couple from Kerala, two years ago. As an infant she had been found abandoned in Gaya in Bihar and later put up for adoption. Born Saraswathi, the tragic end of this child's life is being mourned by thousands across the world. What was Sherin's father's previous version of events? Mathews had previously claimed that Sherin went missing after he sent her outside their home at around 3 am on 7 October as punishment for not drinking her milk. He told her to stand next to a large tree. According to police, Mathews said the girl was developmentally disabled and malnourished when he and his wife adopted her, and that they had to put her on a special diet that included feeding her whenever she was awake, including in the middle of the night, to help her gain weight.Mathews admitted to police that he knew coyotes or wild dogs had been seen in the alley, the affidavit said. Some 15 minutes later, Mathews allegedly went to check on Sherin but did not find her. After looking around for her, he said he then went inside to do laundry and decided to wait until morning to continue searching or for her to return on her own, police sergeant Kevin Perlich said. Sherin Mathews, who has developmental issues and limited verbal communication skills, was last seen outside her family's backyard in Richardson city in Texas on October 7. Police were not alerted to her disappearance until about five hours later. Wesley Mathews was arrested then and charged with felony endangerment to a child and was placed on electronic ankle monitoring. He also surrendered his passport as a condition of making bond on 9 October. He was re-arrested on October 23 for felony injury to a child after providing investigators at the Richardson Police Department with the conflicting story. On October 23, Richardson Police had discovered the remains of a child in a tunnel beneath a road about half a mile from the house of her adoptive parents, expressing apprehension that it was "most likely" of Sherin. The body was found in a culvert beneath a road around 11 AM (local time) with the help of search dogs. His bond has been set at USD 1 million and he was booked into the Richardson City Jail. It is possible that he could bond out again, media reports say. The FBI seized dozens of items from the family's home and their vehicles between 8- 12 October, including a washer and dryer, electronics and DNA swabs. Wesley and his wife, Sini Mathews, attended a court hearing earlier on Monday to determine whether they could regain custody of their 4-year-old biological daughter, who was placed in protective custody after her sister went missing. The judge postponed the hearing until November 13 to give Wesley Mathews time to hire a civil attorney, said Marissa Gonzales, a spokeswoman for Child Protective Services. The girl will remain in foster care at least until that hearing or until a judge orders a change in custody. "We do have the names of some relatives who have expressed interest in taking care of her," Gonzales said. "We can begin looking into those relatives, but it is entirely up to the judge where she is placed." The police believe more arrests are possible. Sini Mathews, the adoptive mother who was sleeping at the time, has not co-operated in as far as giving details of how the child disappeared or any other questions related to the case. Sherin's case also caught the attention of External Affairs Minister Sushma Swaraj. "We are deeply concerned about the missing child. Indian Embassy in US is actively involved and they keep me informed," Swaraj tweeted on October 19. "We are closely monitoring the Sherin Mathews case. We have established contact with the community and authorities," India's Consul General in Houston, Anupam Ray had tweeted.